Hi Gmorals, The URL you posted doesn't work. To post a pic from Photobucket, you need to choose the image's URL. it looks like this IMG. Copy the IMG URL and paste it to your post. Yikes that's not a comforting photo at all ! Yea i was scared when i first saw it.my home security system will be up on Monday.I'm going to install a motion sensor as well. In the house we had a lot of 'activity' in, our neighbors were similar. Different reasons maybe- I and my husb were both raised in not the safest neighborhoods....yet tho this was a neighborhood of engineers, attornies, drs, etc- I am not a click type person. I dont get it, like it, or fit into some 'mold' to impress others. That was tough. A weird thing of that st/ct. of ours, was my birthday,our nxt door neighbor, and the one next and also behind was the same. April 21st. My son and the 3rd home son were born on the same day and we were having them at the same Hosp and time,but didnt know one another! My husb bday was the same as 4th home ... our daughter the same as the corner home across from us. That was pretty odd. The house next to us we called the sad house, tho our homes were built at the same time- that home always had some Drama. Divorce, illnesses, about 5 different families bought and lived a few yrs, then ended up selling bcuz of some drama. I knew our house certainly had paranormal things going on- so wondered if energies were chaotic in that home? I'd send 'prayers' sometimes quietly that calm could come to that house. We since have moved, but I think that last family though divorce happened, one - the dad I believe, stayed there, and still is. Maybe calm did happen! The sketch is super creepy! Anyone having nightmares or being scratched? We could go thru all the usual things to slow down the activity or even possibly stop the activity. But all of that is posted on other topics here. But I may cover some of those steps tomorrow. And of course the worst case scenario would be to move out of the house. Again I'm going to suggest a visit to your doctor. Tell him about the vibrations and the unexplained bruises. While you may have something paranormal going on please don't relate everything to the paranormal. Your health is important. Your family needs you. Please see your doctor. If you get a clean bill of health then look for other reasons for the bruising and vibrations. Okay... I'll just say it, your house is infested, in my opinion. And by that I mean by a haunting. And I strongly suspect that the previous owners removed most of the mirrors in the house and for good reason. I personally don't believe that mirrors are a portal. But evil spirits can use them to scare and manipulate by more easily displaying their image or a false image within the mirror. So it's a scare tactic for them to use. So if you care to test that, start looking in bigger mirrors often, and pay particular attention to the background within the mirror. And the bathroom mirrors are a good starting point for that. And don't try to make contact if you see something. My feelings are that you have evil spirits in your home. By that I mean, bad people that lived their life and died. And the ones that are there, took up residence in your home, so to speak. And I wouldn't be trusting the children images to be actual children spirits. Deal with everything equally the same within your home. They all have to go! When the energy levels build with a haunting, it can attract something worst than an evil spirit. And some of the signs of that are dark figures, nightmares, scratches, bruises and the like. But not necessarily demons. But that can eventually play into it as well. The nightmares are used to weaken you in order to make conditions for them more conducive. As some would say, you are then more vulnerable. But that's not the only thing in your case. Here's the most likely scenario in your case. 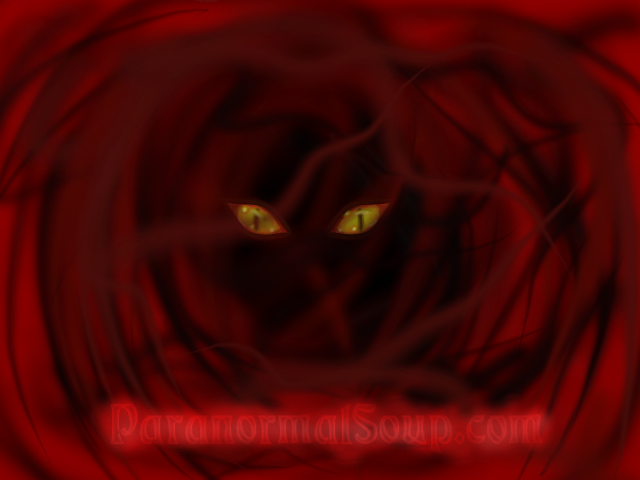 Evil spirits took up residence in your home long before you came around. Then the previous owners began to remodel the home. Big mistake when evil spirits are around. That stirred them up big time. They don't want an upset to their routine in any way. And a remodel is a huge thing to them. So they rebelled big time and scared the previous owners away, unfortunately. Then you became the recipients of their anger. So they are now working to scare you away before you consider making any further changes to the house. So if you are not wanting to continue with the remodel, then make that clear to them but do it indirectly for the most part. Talk to other family members about how you like the house just the way it is and no major changes needed or wanted at this point. But just know this, you don't want to live in a haunted house. You have to work on a plan to get rid of the guests and you have to do it soon. In your case, they are already attacking you through nightmares and bruises and no telling what else. They can weaken you to the point of health problems. And I'm not just talking about fatigue. And we can talk about ways to get rid of them, but that's for another day. Is there a lake, river or canal close to your house? Don't acknowledge them in the house and only talk about them away from the property from now on. But when there is an episode in the house and you feel you need to do something, simply tell them to leave your family alone and get out! That's all. As far as finding the previous owner. Consider this link. If it's not useful, maybe MacC can help further with that. As for seeing a doctor... if you feel that there's more to this than just a haunting, by all means, see a doctor. Cancer, including Hodgkin's disease and leukemia. But hey only go to the doctor if think it's not a haunting. Lorac.... Yes, it's always good to see a doctor in a case like this because that could obviously play into it. But in my opinion, that's not the only advice needed here. And you covered your concerns with her already. But there's also a haunting to deal with or is it mass hallucinations? If you have an issue with my post, then please continue this through PM but not on this thread. Thank you. Paranormal or not, it's still a good idea to go to the doctor. Sometimes there can be hidden toxins in your home that you do not know about, or think about, like black mold, carbon monoxide, and yes, drug labs. It would also be wise to check to see if the electrical wiring is up to date. Exposed wires and junk can put electricity in the air. These things can be important to know, because I feel that the weaker you are physically and mentally, the easier it is for them to have power over you. Just my thoughts. Feel free to agree or disagree lol.